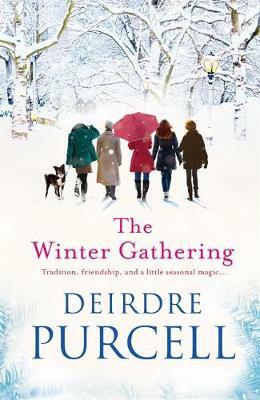 It's ten years on from the first winter gathering, when four of Maggie Quinn's closest friends rushed in to spend Christmas with her after her husband walked out just days before. And at Christmas, it doesn't take long for an event to become a tradition. But this Christmas Day, for the first time, there's an addition to the party, in the form of a young, very handsome man. Only one of the women knows what he's doing there, and she's remaining tight-lipped. So begins a new chapter in the lives of the five friends. As the winter moves towards spring, each faces personal hurdles, from family difficulties to illness to the unexpected reappearance of Maggie's ex. Throughout, each proves that friends truly are the family you choose -- and that, ultimately, the magic of Christmas can arrive at any time of year.